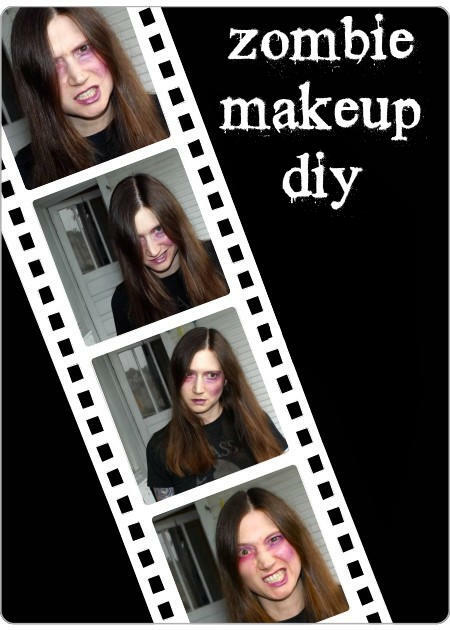 Looking for natural homemade makeup ideas for your DIY Halloween costume this year? Try out this simple recipe for making a natural purple colored cream eyeshadow. It creates a convincing bruise or death look, but with a hint of shimmer for the girly girl in you. Don’t want the shimmer, just omit the mica! 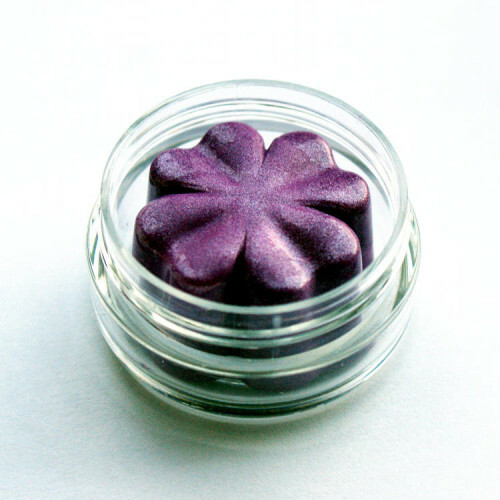 Then continue to use this awesome handmade mineral makeup year round as an eyeshadow! This homemade zombie inspired makeup recipe makes six natural cream mineral eyeshadows so you can share it with some of your favorite people – or easily halve the recipe to make less. Use it on eyes and lips to perfect your custom “dead” look! This recipe is basically the same as my handmade 2 in 1 lip stain and cheek color recipe, but calls for different pigments and amounts to give you a bad boy bruise purple. 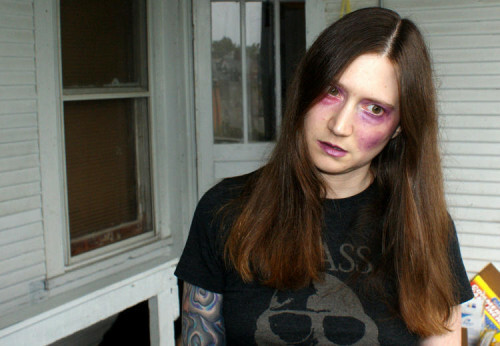 Layer and use more for a deeper, more intense purple. Use less for a lighter shimmering purple. This also makes a great base for helping your powder eyeshadows stick longer. Use a digital scale to weigh out the beeswax, coconut oil, grape seed oil and mica. Start by weighing out the beeswax in a glass pyrex measuring cup, then heat the beeswax in the microwave until melted, about 3 minutes. Carefully remove from microwave using a pot holder or kitchen towel, then stir in 28 grams of coconut oil. If mixture starts to solidify, place back in the microwave and heat for 20-30 seconds more until all ingredients have full melted. Now weigh out the grape seed oil and stir into the wax and coconut oil. Finally weigh out the pigments and mica powders and stir into the cream shadow base. Mix well, then slowly pour the base equally into six (or seven) of the flower shaped cavities of your silicone mold. (Or simply pour into the lip balm pots if you don’t wish to mold your makeup.) Allow the makeup to harden completely, then remove each flower shaped shadow from the mold and place into each of your six lip balm pots and cap. Allow your eyeshadow to harden completely – this generally takes about a day – before using for the best results. Then using a sponge or your fingertips, apply this cream purple mineral makeup under eyes, on eyelids around cheekbones and on lips! Or customize your look and put it anywhere you like! Go wild and blend a bit of red in with the purple under an eye to make your face look even more distressed. If needed you can help set your look with a light dusting of translucent powder. For more DIY projects like this one, be sure to follow my boards on Pinterest! You can also purchase limited edition products crafted from these DIY recipes from Rebecca’s Soap Delicatessen while supplies last. 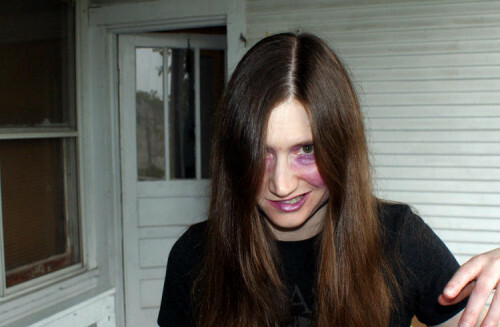 How great that you made your own zombie makeup! Love it!